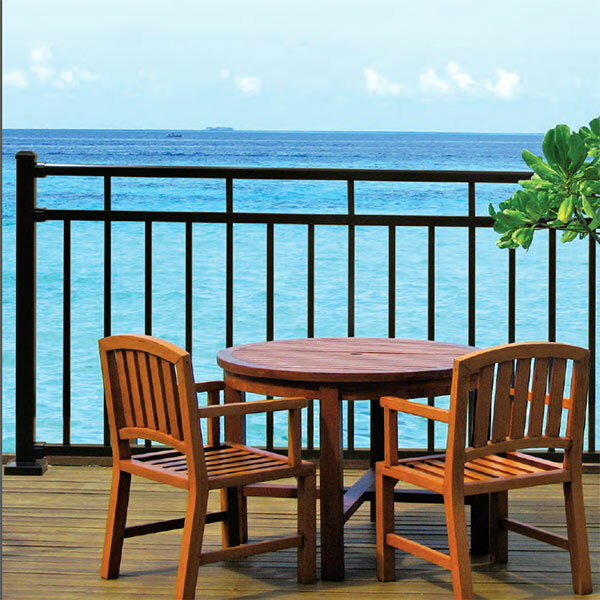 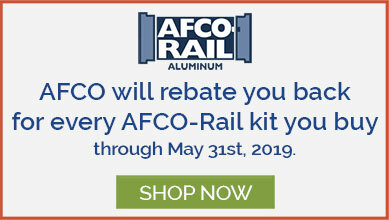 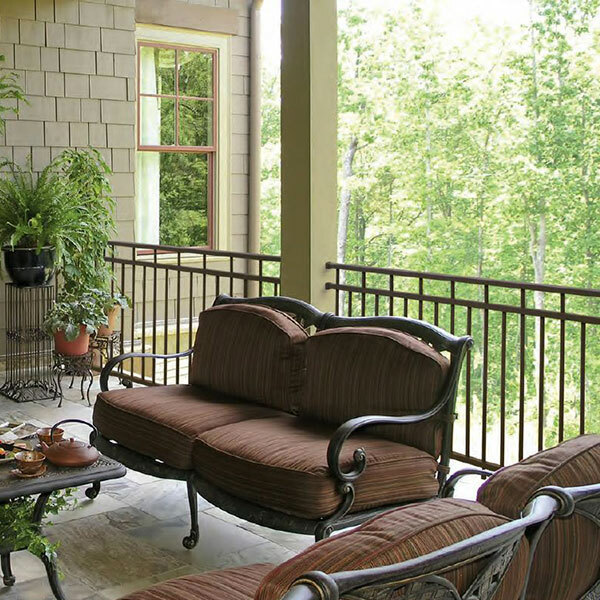 Get inspiration for your deck project by browsing our fabulous Westbury Riviera Aluminum Railing photo gallery. 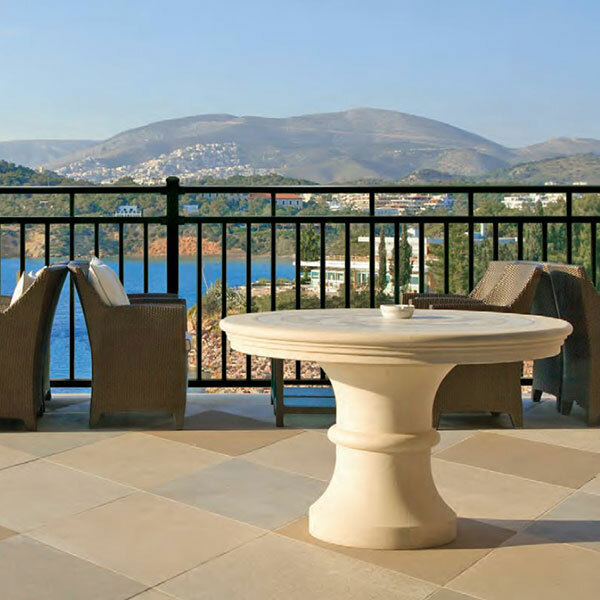 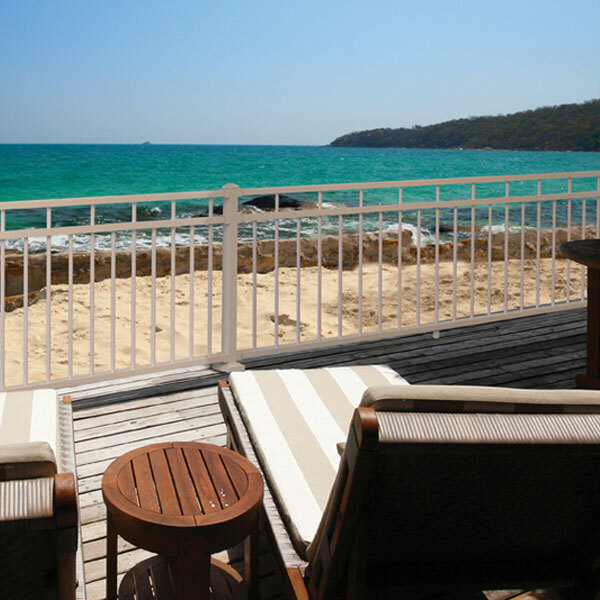 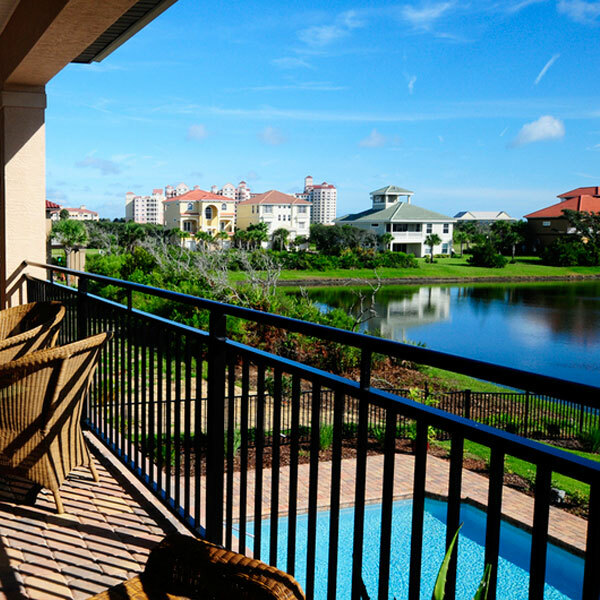 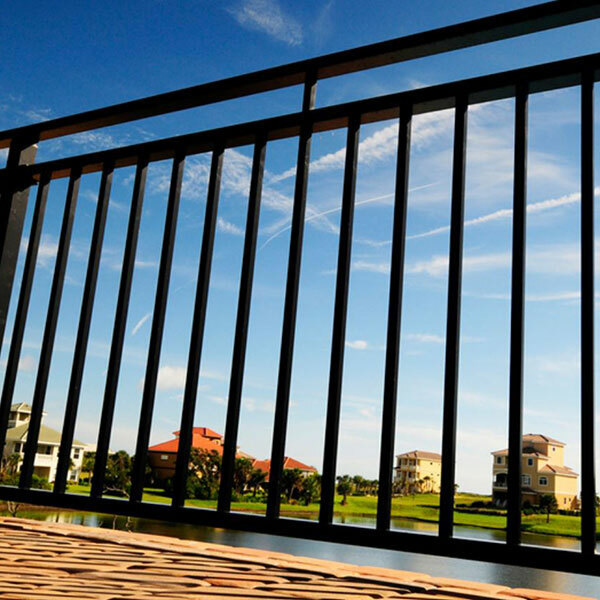 Westbury Riviera Aluminum Railing features an open mid-rail that can reveal the view for guests seated on your deck, or a varied design that can add visual interest to level and/or stair rails. Riviera rail sections can be used with posts mounted on your decks fascia so you do not have to sacrifice space on your deck or balcon. 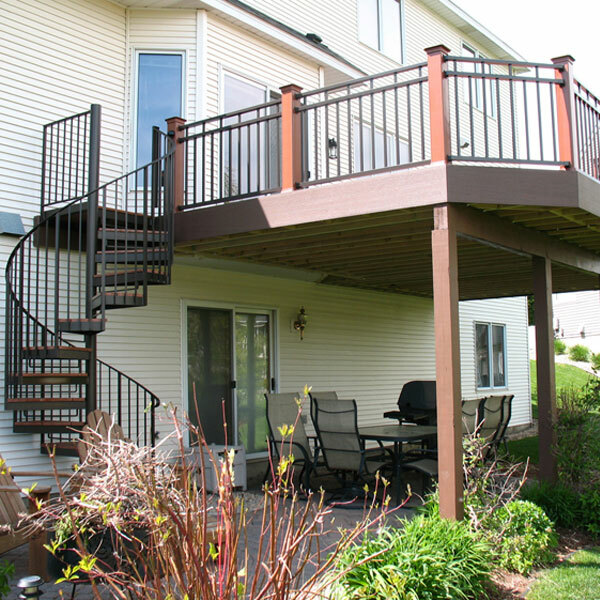 Use Pinterest to start your own collection of inspirational baluster photos by clicking the "Pin it" button on your favorite photos. 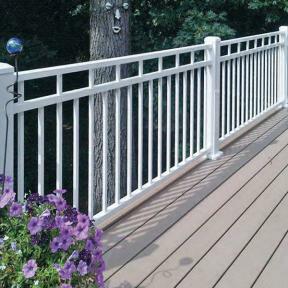 Westbury Riviera R Series Aluminum Railing in White Fine Texture. 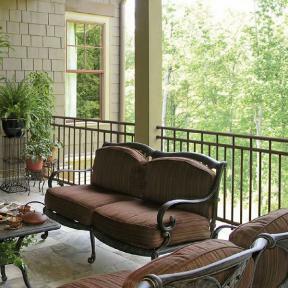 Also features Westbury 2 inch Post and Post Skirts. 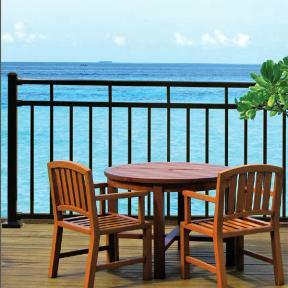 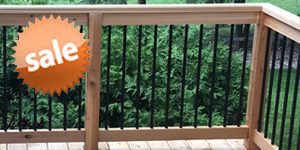 Westbury Riviera IV Series Aluminum Railing in Black Fine Texture. 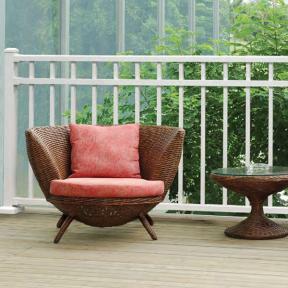 Also features Westbury 2 inch Post and Post Skirts. Westbury Riviera C30 Level Rail section in Black Fine Texture. 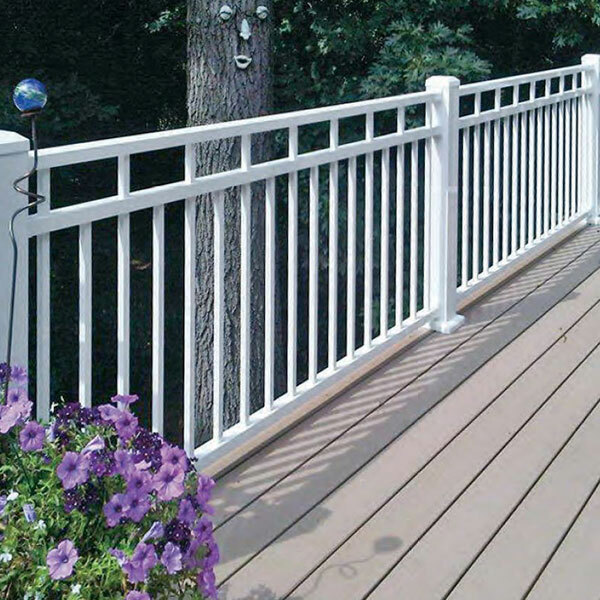 Westbury Riviera II Series Aluminum Railing in White Fine Texture. 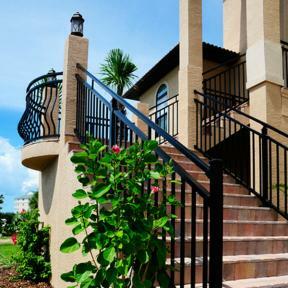 Westbury Riviera II Series Aluminum Railing in Black Fine Texture. 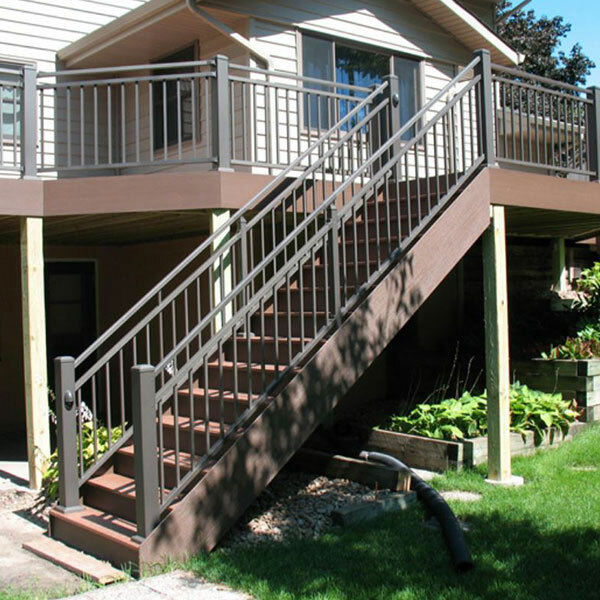 Westbury Riviera C30 Level and Stair Rail section in Bronze Fine Texture. 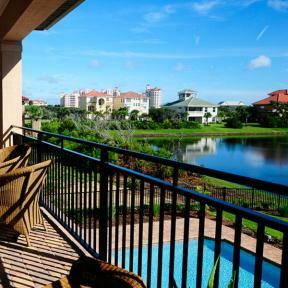 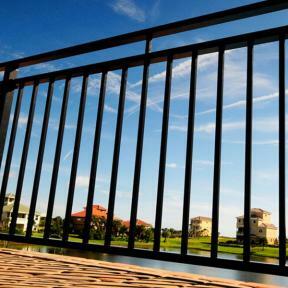 Westbury Riviera III Series Aluminum Railing in Black Fine Texture. 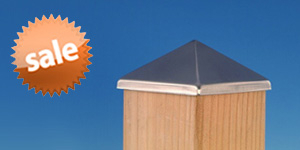 Also features Westbury 2 inch Post and Post Skirts. 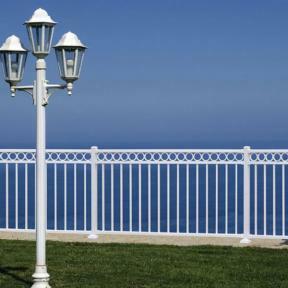 Westbury Riviera I Series Aluminum Railing in White Fine Texture. 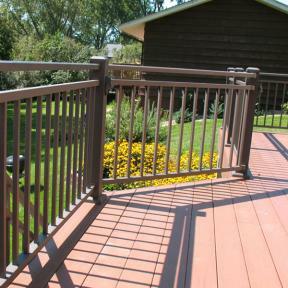 Also features Westbury 2 inch Post and Post Skirts. 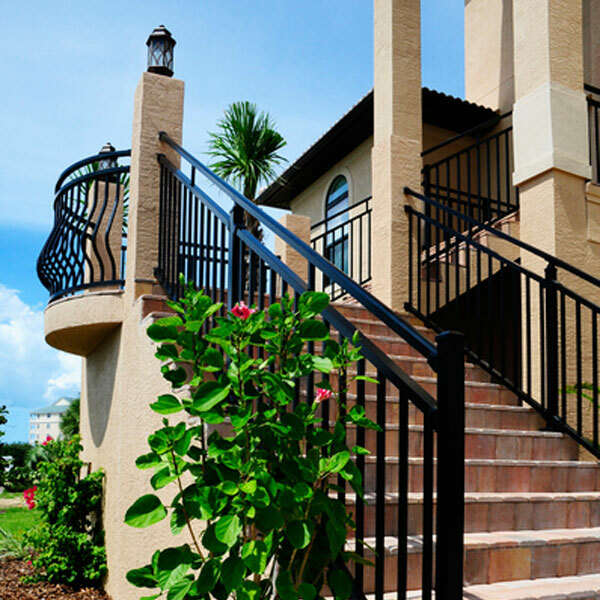 Westbury Riviera C30 Stair Rail section in Black Fine Texture. 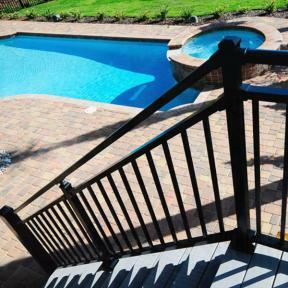 Westbury Riviera C32 Stair and Level Rail Section in Black Fine Texture. 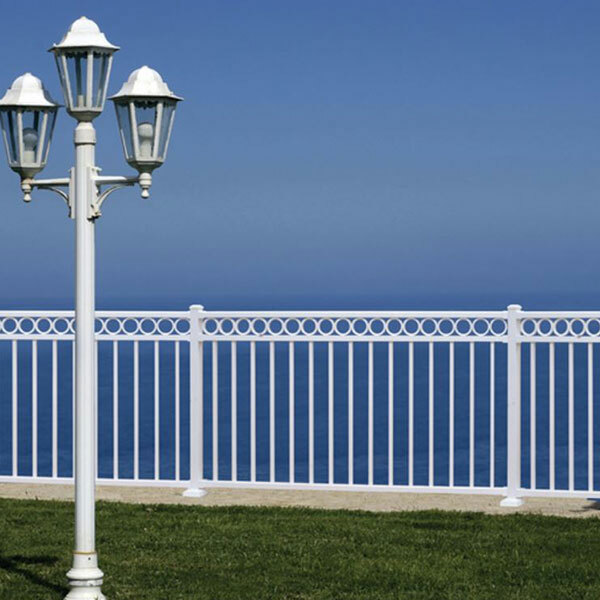 Westbury Riviera C30 Level Rail Section. 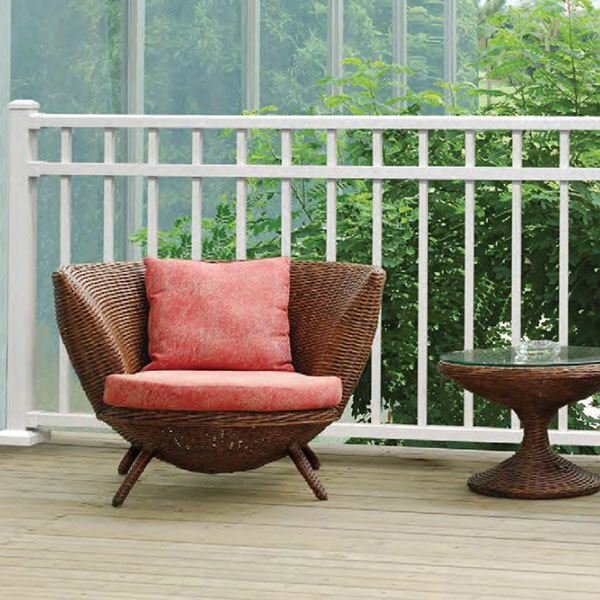 Westbury Riviera C30 Stair and Level Rail Section. 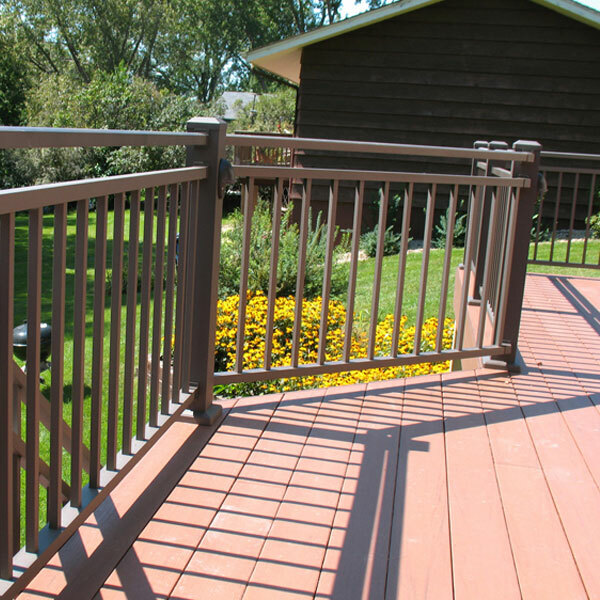 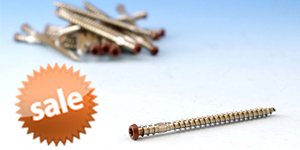 Features Westbury 2 inch Post and Post Skirts.